Not sure what WordPress users opinion is on shameless self promotion, but here’s a recording of me messing around with my jazz bass, which I recently had repaired. I’m also on reddit, and this would never fly there. So I’m posting here. What this is, really, is me giving my bass a test run. This is also just about what I would play if I were trying out a new bass for the first time, or when I’m walking around NAMM picking up various axes. It gets a little clicky at the end, a little too much treble and finger slapping the string against the pickups. Apologies for that. Otherwise, this is just me noodling the way I do. I’d never recorded it, and thought it would be interesting to come back to in a couple of years and listen to. BTW I recorded this on my Ipad, Garageband, using an Irig. 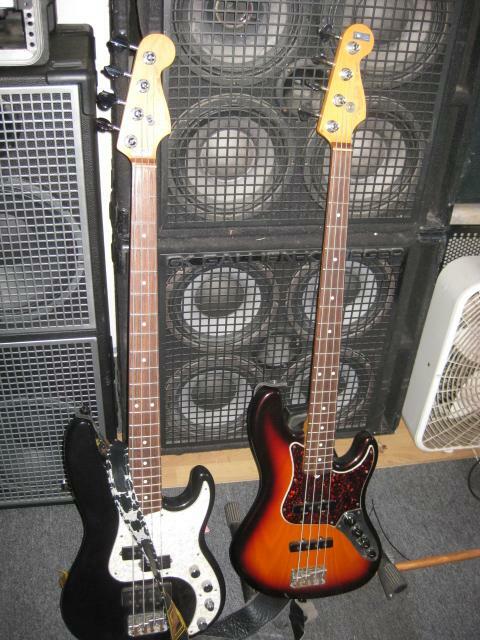 My bass is a 1997 Fender American Deluxe Jazz bass I’ve had since 98. Its the one on the right here.